Two-Year-Old Accidentally Shoots and Kills His Mother. I Have Questions. Yesterday, a two-year-old who was out shopping with his mother and some other children pulled a gun out of his mother's purse then at near point-blank range, shot and killed her. This happened at a Wal-Mart in Hayden, Idaho. The mother, Veronica Rutledge, 29, was a killed almost instantly. Based on news reports, the boy was sitting in the shopping cart, presumably with a purse next to him (I remember this life even as a much bigger child) when he grabbed the gun and fired it. There is so much tragedy in this story I almost don't know where to start. But I have a bunch of questions. 1. How traumatized will this child be when he grows up without a mother because he is the one who killed her. Even if it was an accident (it was)? I can't imagine what this life looks and feels like. As he gets older, if he were to google his mother's name, he will see what he did. And she was only 29 years old. Sheesh. That poor kid. 2. That poor family. When something tragic happens, we all have a nagging need to blame somebody. Well, the mother is dead. And you can't blame a 2-year-old child who presumably had no clue what he was doing. He likely looked into the purse, saw something and pulled it out. That could have easily been a pack of cigarettes or a wallet. But this ended up being a gun and proved fatal. 3. WHY, oh why, would you have a loaded gun sitting right next to a toddler in a purse? I know its possible to be heavily distracted. It's entirely possible that the purse was zipped up and he managed to unzip it. 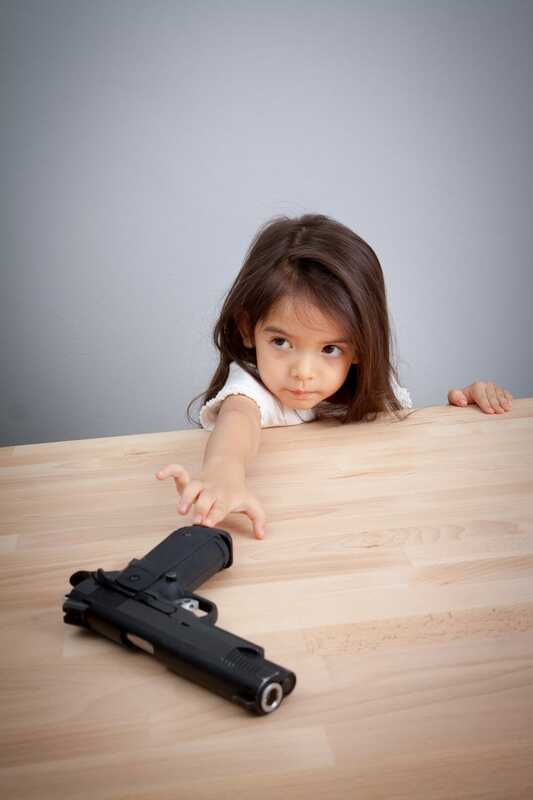 But as a parent, you know you have a gun in your possession; why put it in reach of a child? Isn't that what the NRA and gun folks preach constantly? Accidents only happen with guns because of negligence? I can't imagine anything being more negligent than this. 5. …why wasn't the gun on safety? And why was there one in the chamber? Obviously, I don't know much about anything in this case. I have no idea what type of gun or what caliber it was. But if it had a safety, why wasn't it employed? And if it didn't, why was it in reach of a child? I'm sad she's passed as she's left behind a child and a husband and a family that will forever regret a few simple decisions that were made and how they tragically ended her life. But from the outside looking in, it seems like a subsantial number of things went wrong/right in order for this tragedy to occur. I do hope that this child ends up okay in the long run, but I can't imagine the emotional stress and strain that he will undergo once he finds out what he did even when he was too young to know any different. And you can't pretend it never happen and hope he'll never find out. Perhaps before the Internet they could have moved to a different place and as a family pledge to never speak a word of it. But that's just not possible now.